Wevio is looking for a passionate, smart, and articulate FULL-TIME PHP DEVELOPER for our development centre in Hyderabad. 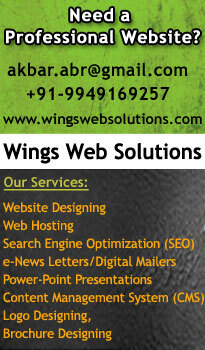 We expertise in CMS technologies mainly on Wordpress, Megento, Drupal. We have branches in India , New York and South Korea. • Expert with XHTML/CSS should be able to convert the PSD to HTML and Themes development in wordpress. • Communication skill( English) must. • Knowledge of Photoshop, Flash, Web Designing is a big plus. • Should be able to work in New York Timings. Send your Profiles along with your current CTC, Expected CTC & Notice Period. Job Description: Wevio is seeking dynamic, motivated, energetic eMarketing Account. This position would sell to medium- to large-size business including the US Fortune 1000 as well as to international firms. http://www.wevio.com Wevio is a fully integrated web development company that provides a holistic end-to-end service to each of its customers. Based in New York City with offices in Hyderabad, India and Seoul, Korea; the company encompasses a wide range of cultures and traditions and promotes a creative atmosphere where employees share learning’s and best practices amongst one another.